In the age of Netflix and Spotify, subscription services are only growing in popularity. Scent Box is a similar service who specialise in sending their customers vials of new fragrances every month. However, are they worth the money? Use Code “Scent35” For 35% Off! Offering consumers with products on a monthly basis at an affordable price, it’s understandable as to why subscription services have grown over the years. Nevertheless, this makes sense when the subscription grants you unlimited access so why would you choose to subscribe to a service that sends you consumables? For at least $14.95 a month, Scent Box sends its customers a 30-day supply of perfume, which comes in the form of a 0.27 Oz (8 ml) vial. Alternatively, you can pay a little more for premium designer fragrances at $19.95. 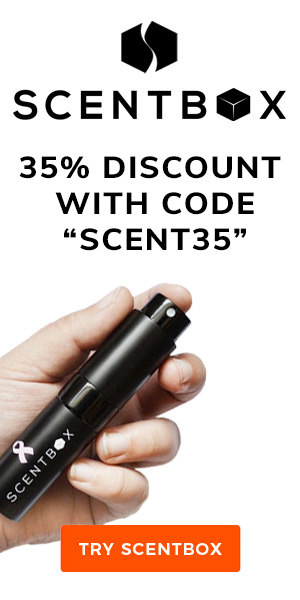 One a side note, you can currently benefit from a 35% discount if you use the code “SCENT35” during checkout. Given the sheer amount of fragrances on the market, it can be overwhelming to choose one and even harder to stick to it. Therefore, Scent Box offers both an affordable and convenient way to try something new every month. As you’ll learn in this review, you do get some control over the fragrances that you receive. However, you can’t choose the exact ones. As such, you will never know exactly what you will be wearing the following month. Getting starting with Scent Box is easy and actually quite an engaging process. First, you begin by choosing your subscription and whether you want to have the standard or premium package. After that, you will be taken through a series of quizzes in order to better understand you and tailor the fragrances to your taste. This begins by asking you what sort of colour palette you like from a selection of different hues. Following that, you will be asked to choose the type of aroma that appeals to you most. Available options include things like “sea spray”, “a walk in the woods”, as well as “dewy cut grass” and “chocolate”. After these, you’ll also be asked things like your favourite activities, your favourite music, and even what you like to do to relax. Once you have answered these questions, you’ll then be provided with a list of recommendations from which you can choose from a selection of fragrances. However, you won’t be guaranteed them immediately but they will instead be added to a queue. Finally, you will be provided with the opportunity to add a second monthly fragrance by upgrading your subscription, which costs an additional $13 for the premium plan. You can head back to your recommendations at any time to add or remove fragrances from the queue. This is quite convenient as you may end up purchasing any of them separately or even discovering new ones that you’d like to try. At this stage, it should be pretty obvious as to what Scent Box offers and how it can benefit your lifestyle. Firstly, it’s an affordable option for fragrance enthusiasts who want to collect or try new perfumes on a regular basis. Generally, fragrances are quite expensive and even a modest collection represent a fairly substantial investment. With Scent Box, you’ll be able to receive a new fragrance every month. Granted, you’ll only get a decant but it will only require a fraction of the cost of a whole flacon. Furthermore, you may be the sort of person who buys a fragrance only to get bored of it quite quickly. Consequently, Scent Box presents itself as an excellent solution to this problem as you’ll have something new every month. Finally, if you’re an adventurous person who likes to try new things, this is an excellent opportunity to leave your comfort zone. As each fragrance is effectively a surprise, you’ll enjoy the anticipation of wondering what will be arriving at your door every month! Of course, there are a couple of cons to using a service like Scent Box. Firstly, you might not be the sort of person who likes surprises. If you want to know exactly what you’re buying, there’s always the risk of disappointment. Similarly, you may have very specific tastes, which would be difficult for Scent Box to take into account. Another issue that we have with Scent Box is regarding the cost. While the monthly cost is very accessible, the overall cost for the volume of fragrance is actually quite high. To put this into perspective, the standard subscription represents $1.87 per millilitre of fragrance (or $1.20 if you use the code ‘SCENT35″). Meanwhile, a 100 ml flacon of perfume can generally cost anything between $30 to $100. As such, you could be paying between 0.3¢ to $1 per millilitre. Consequently, you could potentially be paying well over double the RRP for the quantity of perfume that you receive. If you were take into account factors like the service, shipping, as well as the convenience, then this may provide more value. Similarly, you may not really notice that you’re much paying more as it consists of small amounts spread across the year whereas a full bottle demands a much more substantial down payment. However, if you are one of the sort of people that we described in the benefits earlier, you might have a tendency to rarely finish your fragrances. Therefore, you’d be wasting even more money by buying whole bottles. As the name suggests, Scent Box delivers its fragrances encased in a black box. Using foam, the atomiser and its sheath are securely held in place. A few documents are supplied with your box including a card that provides information on the fragrance itself. Using the vial is a breeze. With a simple twist, the atomiser pops out and you can easily apply the fragrance. The size and shape of the atomiser is very convenient and its great for carrying with you at all times. On a side note, the vial’s atomiser packs a lot of punch and provides a nice, thick mist. Therefore, you’ll rarely need more than two sprays for a full application. When your next fragrance arrives, you can simply pull the glass vial out and slip another one into the sheath. We’re quite fond of this intuitive design and it helps reduce waste in an overall consumption-oriented exercise. Interestingly, it’s unlikely that you’ll ever grow tired of the sheer volume of Scent Box’s inventory. On their site, they boast that they feature over 850 designer perfumes. If they’re evenly divided between masculine and feminine fragrances, you’re looking at around 35 years of options! When all is considered, value is simply a question of perceptive. If you feel that the service offers benefits to you and your lifestyle, then it is undoubtedly worth every penny. 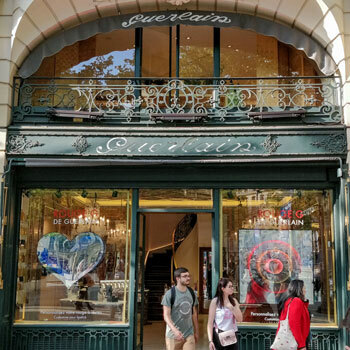 Indeed, the experience is something of an adventure and provides excitement every month as well as offering you variety without spending too much. 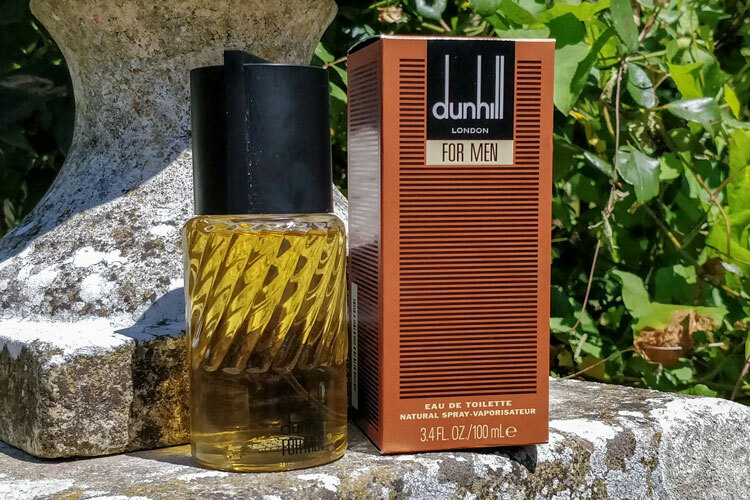 If you’re new to fragrances and want an affordable way to try out new accords for different seasons and occasions, this is an excellent investment. However, if you’re someone who is already very familiar with fragrances and the market, you might not benefit much from the service. Similarly, if you’re somebody who likes to buy a fragrance and stick to it until it’s empty, you may not get the best value here. If you’re serious about building a collection of fragrances, the best option is often buying full bottles. Yet, it does come at a significant cost. As such, Scent Box provides you with an ideal starting block to do this in an affordable way. Overall, we applaud Scent Box for their approach and how they have developed a fun and engaging way for discovering new fragrances. Reviewed by Paul Anthony, on 27th March . "An interesting subscription service. It's hard to truly evaluate the value of such a service and it greatly depends on the person. This may be an excellent option for you or you might prefer to buy entire bottles." Looks like a cool subscription, I’ll give it a try! Absolutely, it’s worth a try if you’re getting started into fragrances and want to sample what there is on the market. You’ll have plenty of variety and will unlikely get bored!